I feel that tossing a 5 inch goldfish out on a 10/0 hook hampers the ability of the fish to swim naturally. Just my opinion though. I would agree. Way too many people use hooks that are much too large. 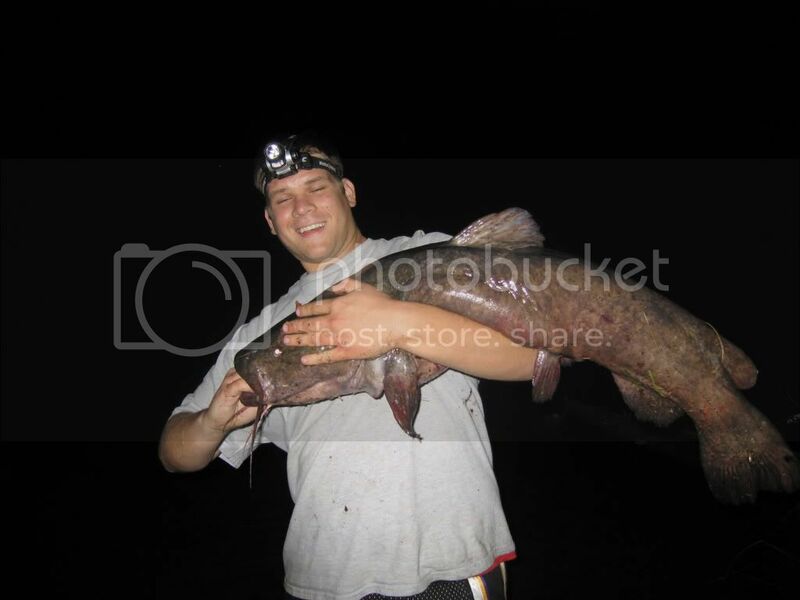 As far as fish go, even a 60 lb catfish isn't all that big. 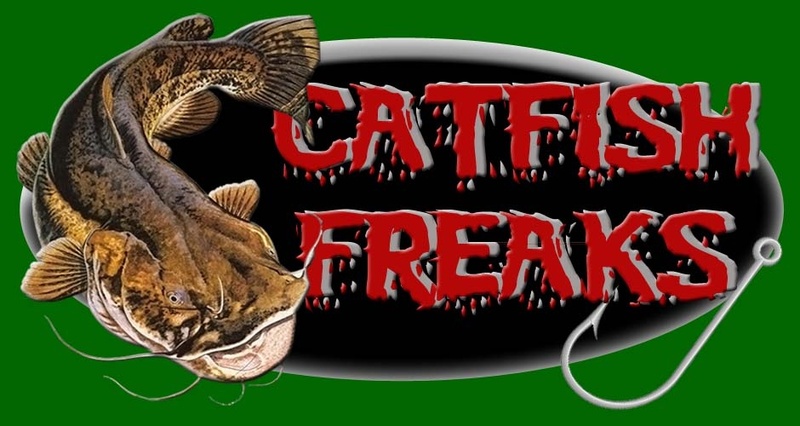 We don't need those huge meat hooks to catch catfish, but people sure like to see them on their rods. Robby and I often talked how we'd like to have a 5/0 or 6/0 hook, but made of a light wire. 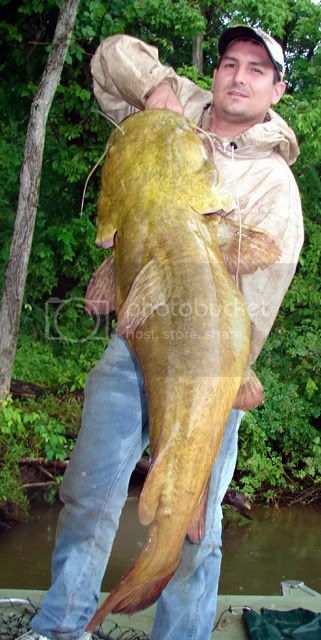 For cat men it would be the perfect hook, but there wouldn't be enouh demand for any hook company to manufacture one. Wouldn't the light wire hook bend out under pressure if you need to horse a big fish away from cover? I am a very opinionated person. 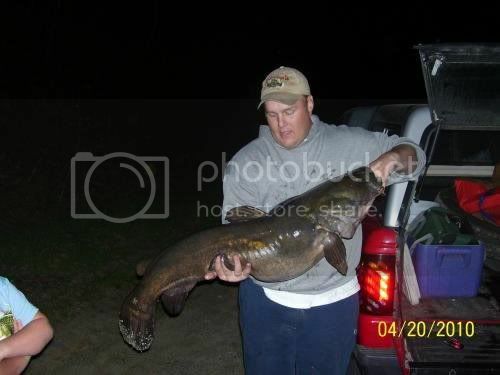 Similar to Mike, I have never bent a hook on a fish, only on snags. Here is my opinion on the matter. When a fish is hooked the pressure is evenly applied to the point as well as the bend of the hook. (sorry nothing technical about the names.) In comparison, the pressure caused by a snag is usually applied to the point of the hook, this it is easier to bend. If you have ever bought cheap jig heads from walmart you may have an idea of what I'm talking about. Sometimes we jig for rockbass, or gills with a piece of worm. 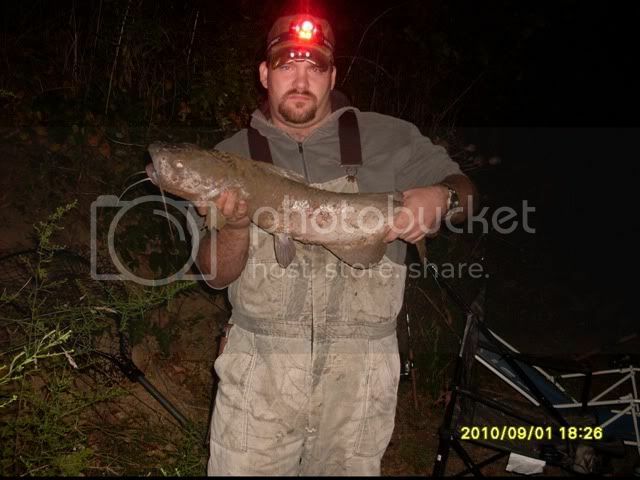 This usually results in a few snags, and a few hefty channel cats. Most of the time we are running 6lb test on these poles, which is more than enough to bend the jig heads hooks. However it doesn't bend in a fishes mouth even when we put more pressure on the line when battling larger fish. Once again my opinion and what I believe to be true.